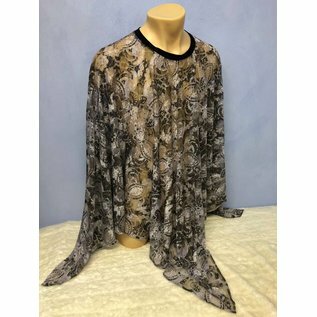 Stylish unisex poncho for many occasions! 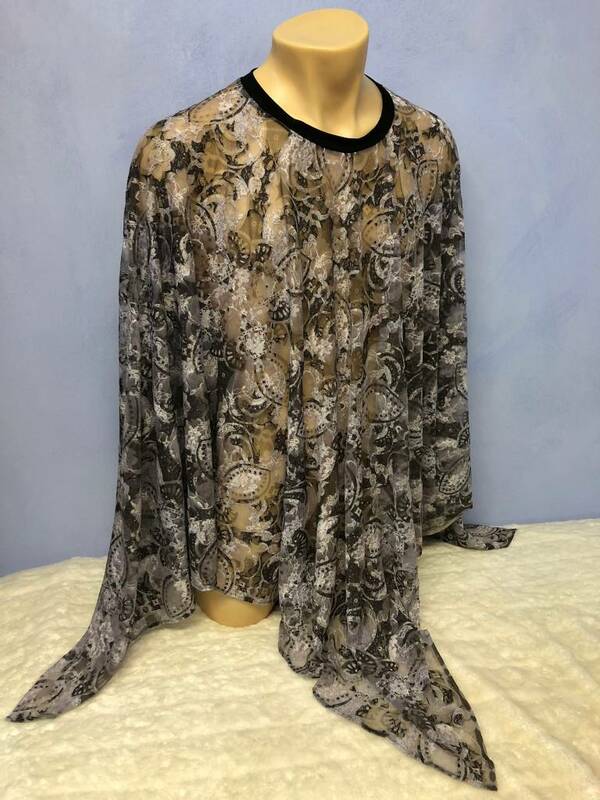 Wear this stylish unisex poncho on many occasions, with the longer tips on the sides or in the middle! Nice and comfortable also as sleep- or homewear-shirt! One size fits all! 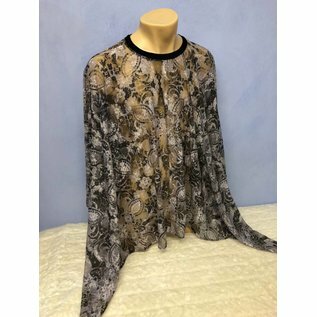 You can choose from all of our colors and fabrics except for cotton-lycra and supplex which are not suited for this model (except for the neckline only). Especially nice in our lace fabrics. 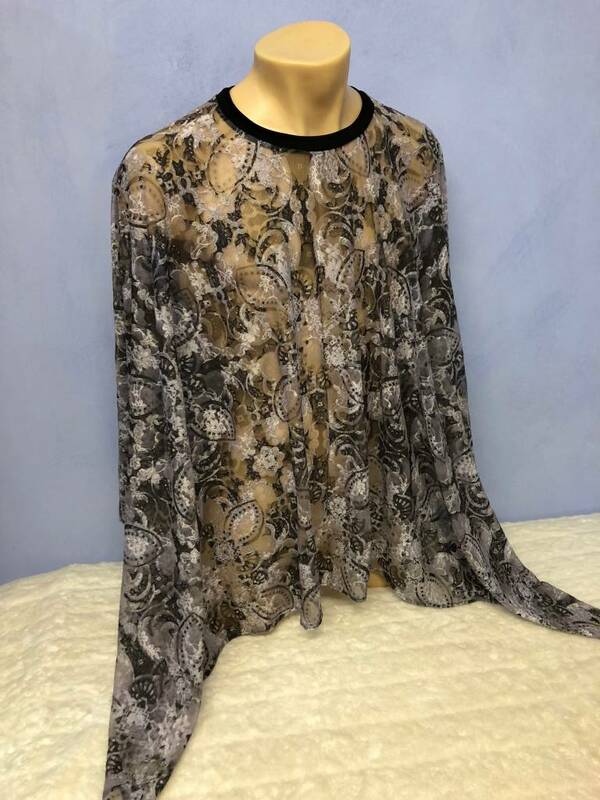 Shown here in lycra-lace black-grey melange. Please do not choose Lycra Lace for the neckline! All other fabrics are suited!